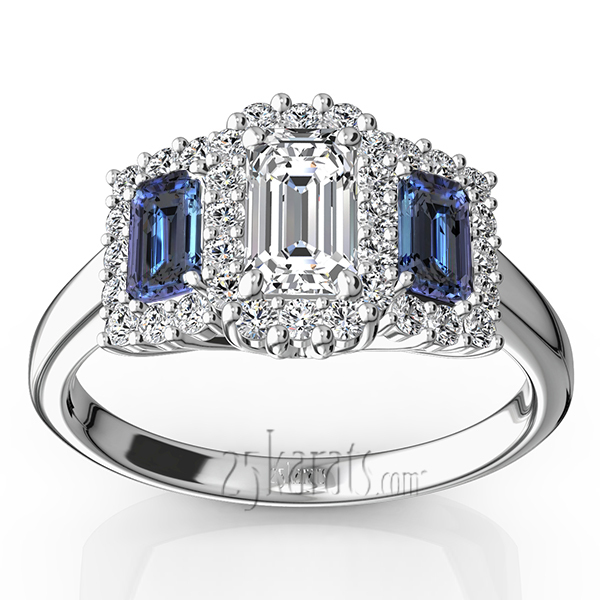 In this sapphire and diamond three stone ring past, present and future becomes one! Your choice of emerald cut center stone is highlighted by two 5x3mm AA quality faceted emerald cut blue sapphires. Accented with fiery 1/2 ct. t.w. round diamond melees. 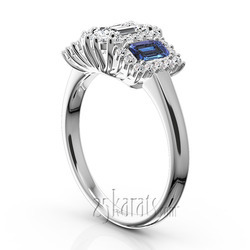 This beautiful three stone engagement ring is available in 14k, 18k gold, platinum and palladium. 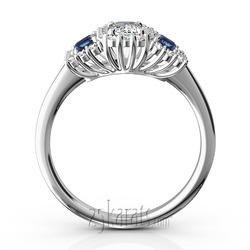 Carat Weight / Size (each): 0.012 ct. / 1.4 mm.